Fixed odds: Brexit has become a labyrinth of bad choices and a wholly self-inflicted national crisis. The idea of ‘pure sovereignty’ which Brexiters argue would be possible for Britain outside the European Union is an unattainable dream, writes Geoff Kitney. Who can say how ultimately post-Brexit Britain will make its way in the world? Even if Prime Minister Theresa May pulls off a political miracle and gets parliamentary approval for her Brexit deal with the European Union, the ultimate fate of Britain outside the European Union will not be determined for years, maybe even decades. What can be said now, however, is that Britain has put itself into a limbo world in which its best national interests are in deep jeopardy. What can be said with certainly is that Brexit has become a shambles – a labyrinth of bad choices – which is a wholly self-inflicted national crisis. For starters, this is a crisis that a majority of British citizens now appear to wish their nation had never had to face. Polls show a majority now wants to stay in the EU. I heard a passionate Brexiter arguing that May’s deal with the EU was an absolute betrayal of the will of the 17.4 million people who voted to leave and a betrayal of democracy. But the yes vote represented just under a quarter of the total population of Britain and just over a third of the total of eligible voters. In fact, the case for a second referendum on the deal recently hammered out is now overwhelming because – unlike the first vote – a second vote would be an informed one. Surely, that is the only sensible way for a nation to make such a fateful decision about its future and, surely, the most passionate advocates of Brexit would want that decision to be on the basis of a powerful national consensus, not a fudged fiddle as the first “leave” campaign has been exposed to have been. Of course, the true reason Brexiters don’t want a second referendum is because they fear it would be defeated. Because it is now clear what the Brexit forces have created. 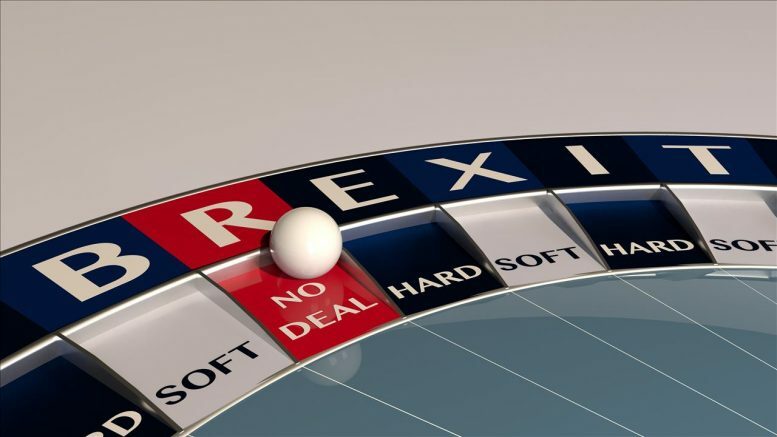 May’s choice – a choice she had to make to avoid the economic shambles of a “no deal” Brexit – is a cobbled together deal with the EU which keeps the UK in the Union, subject to the rules of membership but without a say on those rules. As one commentator put it “pointless membership”. The alternative of a “no deal” would be such a leap into the unknown as to be an act of national suicide was never a course May could take. Only a rabid anti-EU British leader could take such a risk. As an outsider who, for some time was a resident of the UK, I have never understood the passion of the anti-European Conservatives. As a resident of the UK, the benefits of EU membership always seemed to me to far outweigh the costs. Many of the problems for which the European Union was blamed always seemed to be problems that were the consequence of British history and of a fast-changing world rather than specifically due to EU membership. In fact, as the challenges of globalisation and shifting global power balances have increased, membership of the EU economic zone seemed to make increasing sense. There is a deep current of British “chauvinism” at play, a sense of superiority and of entitlement which runs deep in the psyche of the upper levels of the British class system. The problem with Brexit is that it evolved inside a bubble of elitism inside the Conservative Party. The most passionate advocates of Brexit have been fighting for an idealised idea of “freedom” which is profoundly ideological and disconnected from the realpolik of complex economic, social, cultural and strategic influences which a nation must take into account in deciding its own best interests. The idea of “pure sovereignty” which Brexiters argue would be possible for Britain outside the European Union is an unattainable dream. In the globalised world in which we live, sovereignty will always be part of the bargaining process that is the nature of relationships between nations. Of course, idealism is not the only motivation of Brexiters. The idea that Britain was a much better nation before it opened itself to European ways of thinking and influences has a strong hold on many of the most hostile opponents of membership of the EU. The Brexit process has elevated ideology and prejudice above the realpolitik of rational policy and national interest. It may be that as the British public becomes more informed about the full meaning and consequences of May’s agreement with the EU, the pressure for a second referendum will become irresistible. That is a decision which could only be taken by someone other than May in the prime ministership. But given that the only other alternative to May’s deal that is currently on the table is a “no deal” Brexit, the case for another vote has surely been strengthened and will become increasingly attractive when it comes to the Parliamentary debate on the May-EU agreement.